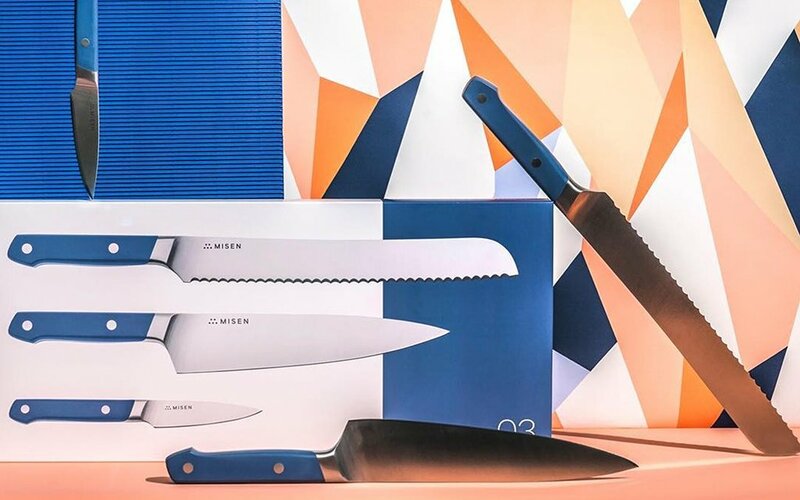 Any good chef will tell you that a man needs but three blades in his culinary arsenal: a chef’s knife, a bread knife and a paring knife. If only someone offered a top-shelf version of all three for a fraction of the cost of traditional restaurant-grade cutlery. Wait. Someone does. It’s called the Essentials Set, and it comes by way of a plucky New York startup called Misen. 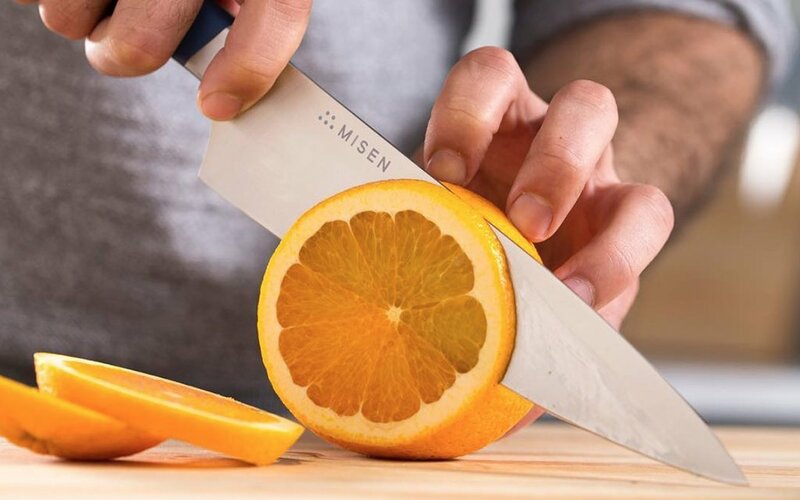 Think of Misen as the Warby Parker of knives: by partnering closely with manufacturers, they’re able to sell direct-to-consumer and deliver a premium product without taking you to the cleaners. 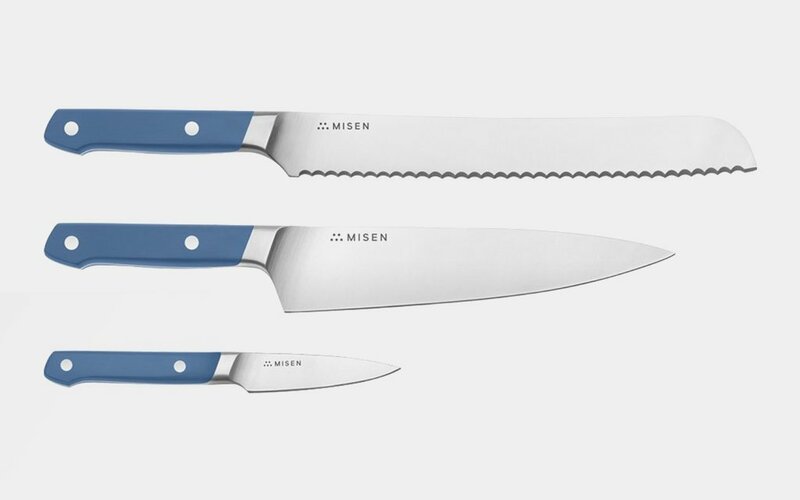 Quality Japanese Steel: Misen uses AICHI AUS-8, which, in steel-nerd speak, means it has a high carbon content (that’s good) and hits the sweet spot between edge retention and durability (also good). Sloped Bolster: This refers to the junction between handle and blade, which Misen designed with an artful pitch to encourage a proper pinch grip. 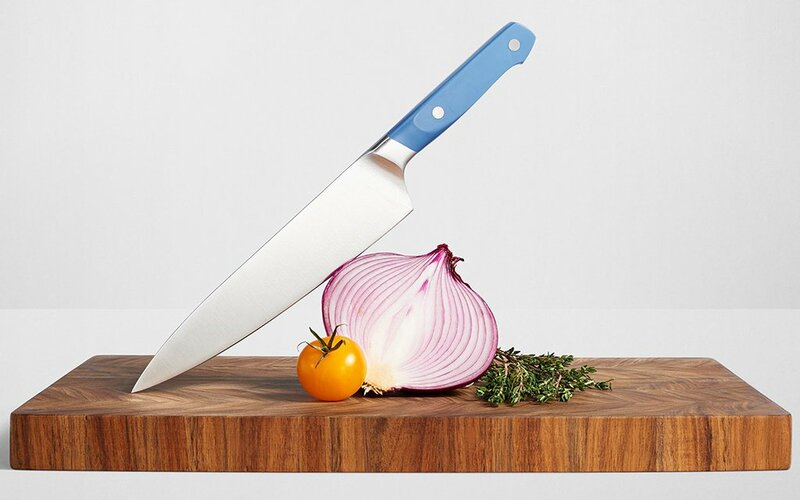 Proper pinch grip = better control and comfort while slicing and dicing. Plus, one glance oughta tell you they’re unimpeachably handsome — so whether you’re whipping up that big holiday meal or just the kale salad you’re forcing yourself to eat in the wake of said big holiday meal, you’ll be doing so in style.